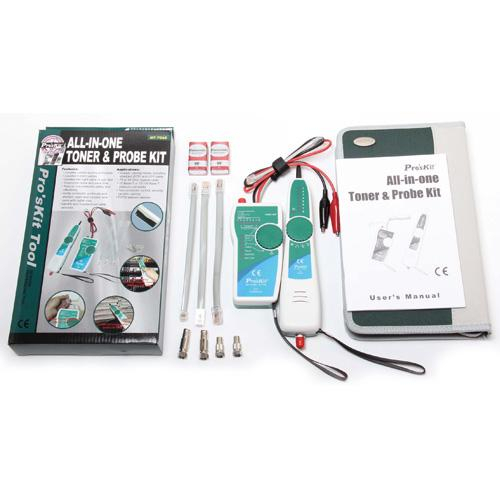 The 902-228 All-in-one Toner & probe Kit lets you use Toner and Probe to validate and troubleshoot wiring on RJ11/RJ45 cables and connectors, USB, F, BNC, and RCA connectors, and it also supplied with alligator clips to work with. 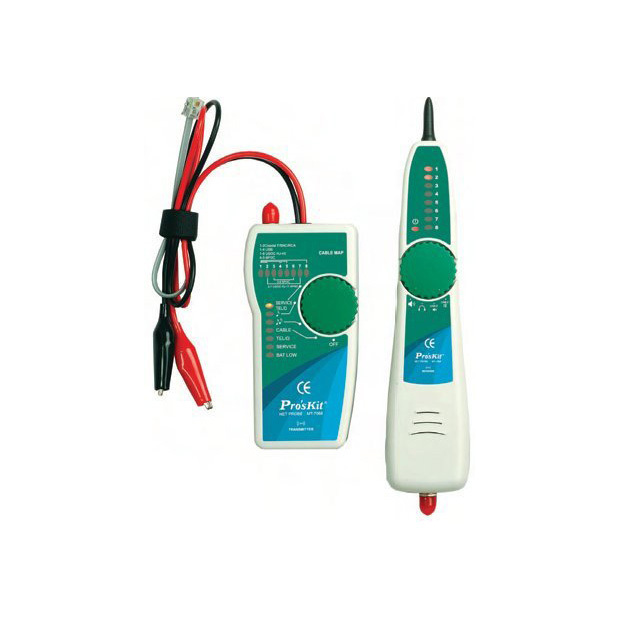 The 902-228 Toner detects telephone and Ethernet service, indicates polarity and active line numbers on voice circuits, and indicates active pair number on Ethernet circuits. 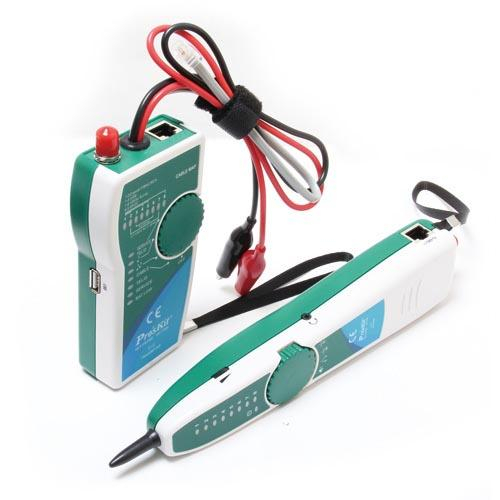 The 902-228 Toner and Probe also provide standard functions such as visual and audible signal strength indication, analog toning/detection, and continuity testing. 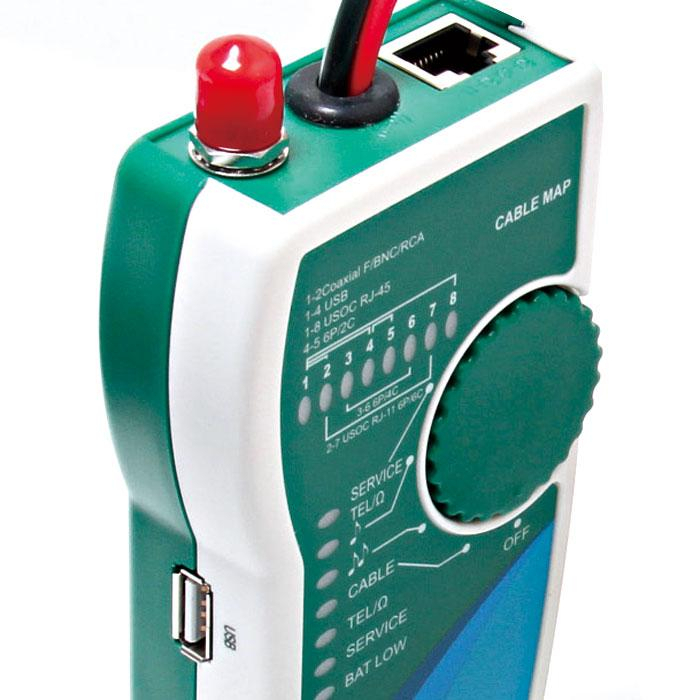 It is ideal for all maintenance fields of telecommunication, networking, datacom, Audio/Video, cable TV, and all weather cabling , etc.